Hmm. That's interesting, Bernard. What makes you suspect that? 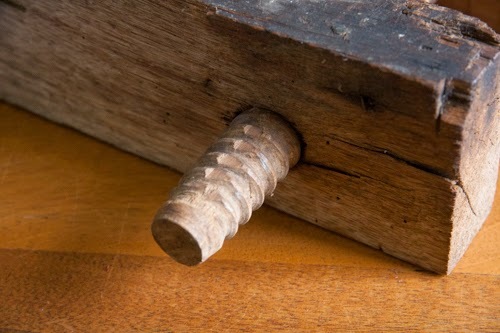 How is a bookbinder's clamp constructed differently than a double screw? I am unfamiliar with that trade and would like to know more. 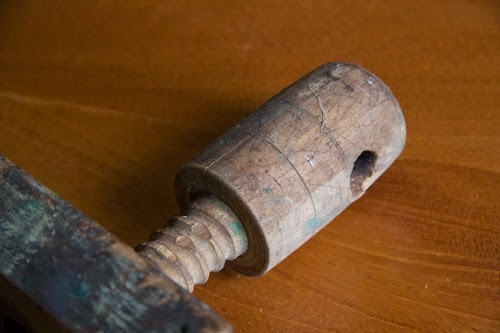 The reason I assumed this one was for woodworking (or at least has been used for woodworking for a long time) is that there are saw cuts on the front jaw and numerous paint splatters on it. It seems this served a holding purpose for sawing something. 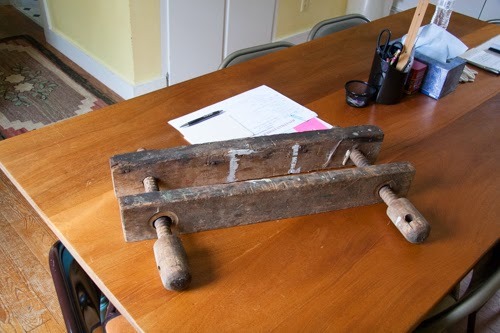 It may have been a bookbinding clamp at one point but changed roles later on. 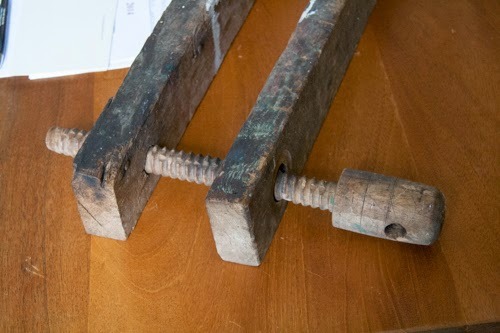 Also, the hubs are more massive than the delicate little one I've seen on bookbinder's clamps. This one even has holes for handles for extra pressure. I am sincerely curious as to your thoughts on those observations. Thanks!